A Canon digital point-and-shoot is nestled in an ultralight wood-and-aluminum frame. 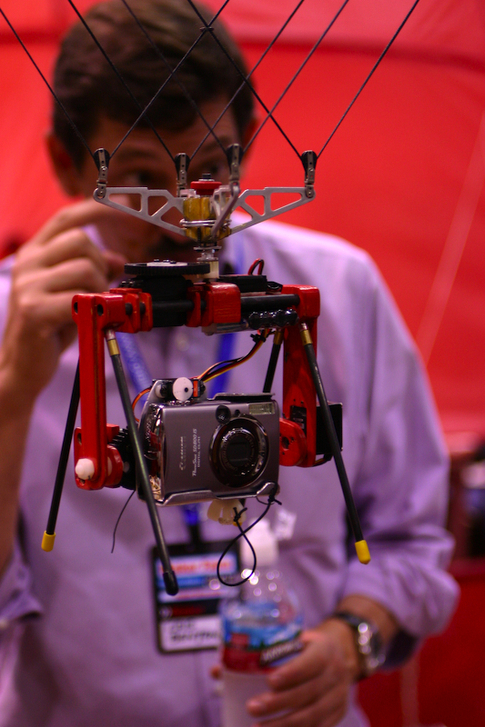 The whole thing is fitted with servos allowing Cris to control the angle of the camera from the ground and squeeze the shutter when the moment is right via radio control. 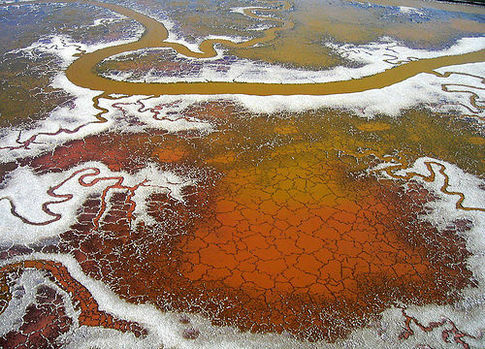 Salt ponds in Fremont, California, from Cris's Flickr stream. Check it out for more amazing shots. ha ha ha ha ha ha ha ha ha ha ha ha ha ha ha ha ha that is the worth idea ever!!!!!!!! you are sooooooooooooooooooooooooooo dumb. Never call someone dumb and fail to spell check your two sentences. How did you mistakenly type "worth" when you meant "worst"? Also, this idea is an incredible one. You could do it with helium filled balloons even. Cool idea, I'll have to give this one a whirl with my old camera! Cool idea. 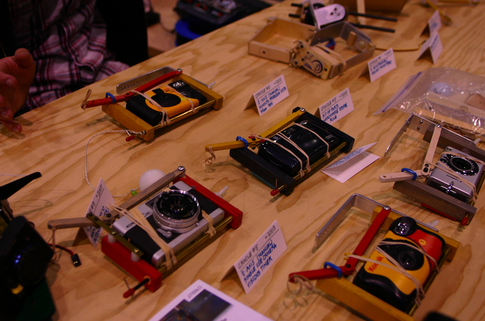 i tried also on rc blimps, planes, and helicopters. you finish doing a lot of work with this simple idea I even did comercial work several times. This is a wonderful idea. Very inovative. You may find similar products being used by the U.S. millitary for spy tactics, and also in the late 90's, Trent Reznor from "Nine Ince Nails" used a similar flying device to film one of his videos "Closer". This is a great idea that offers comparable image quality available with pricey high tech systems. The best part of it is that it's developed at the kitchen table, and put together in the garage. Excellent!